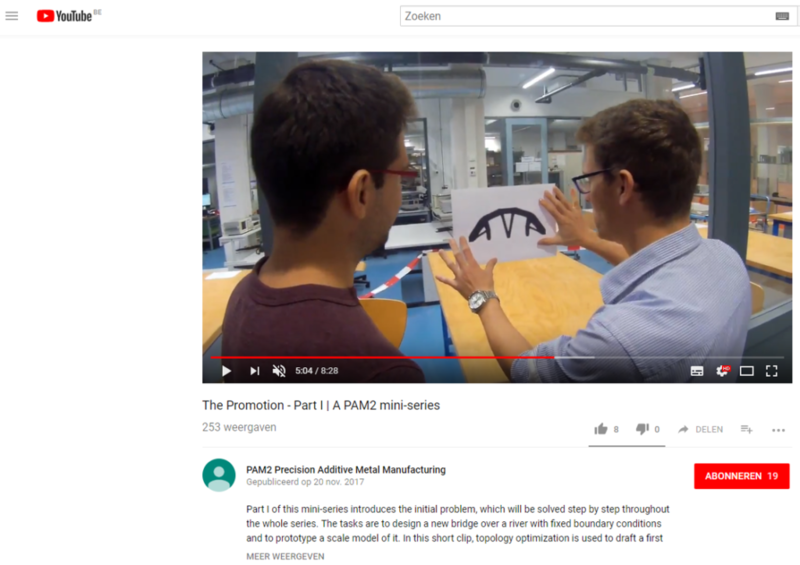 Watch the first part of our YouTube movie series created by our ESRs during their second workshop, held at TU Delft. The ESRs were divided into 3 groups and each group was asked to produce an informative movie on the topic of Topology Optimisation in Additive Manufacturing. Watch here the video of Group A, Group B and Group C.
From now on, all PAM² YouTube movies will be available on the YouTube channel of PAM² .